Luke and JoJo during hometowns. 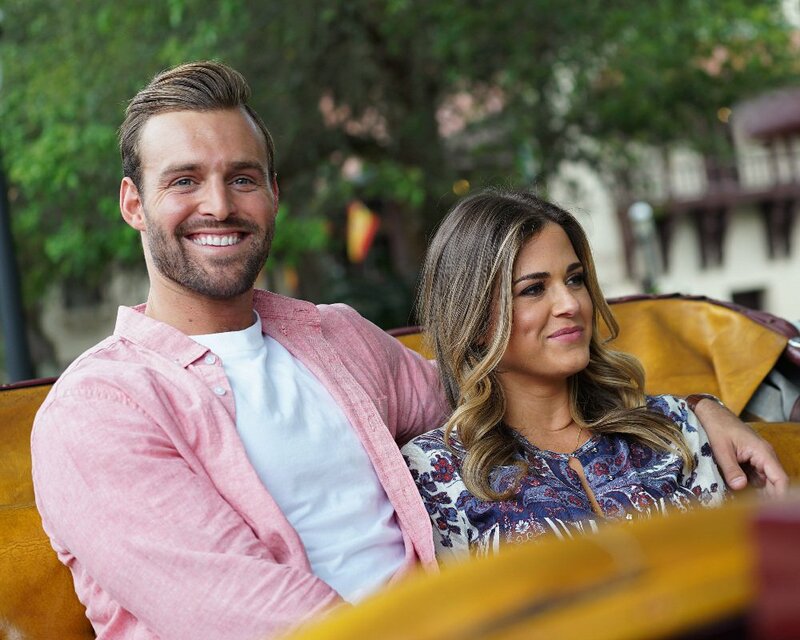 HOLLYWOOD—In this week’s episode of “The Bachelorette,” JoJo strengthened her relationships with each of the remaining four bachelors after meeting their families during hometown visits. 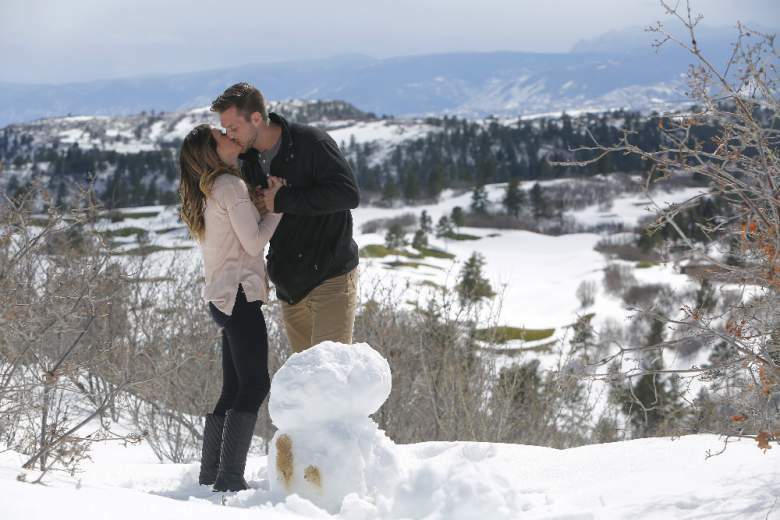 JoJo heads west where one anxious bachelor awaits her: Chase – atop a snowcapped mountaintop in Denver, Colorado. They cozy up near a rock overlooking the snow-brushed landscape. He forewarns JoJo that because of his estranged, divorced parents, she’d be meeting both families separately. Chase and JoJo build a snowman during hometowns. Chases’ father greets them at the front porch of his tasteful, but, modest, two-story, two-garage home, where the three of them sit down and engage in very deep conversation. They talk details of the divorce and mull over their relationship as father and son; the emotional exchange offers JoJo insight into why Chase has been so hesitant to open up; he’s the only one of the four remaining bachelors who has yet to verbalize his feelings for her. They embark towards Chases’ mother’s house where they receive an enthusiastic welcome from a family of five: his mother, step-father, sister, brother-in-law, and nephew. The seven of them sit down for dinner and clink their glasses to the evening. 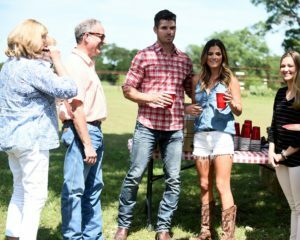 Chases’ mother invites JoJo to talk privately – the two bond over glasses of wine and share laughs; they discuss Chases’ cautiousness when it comes to love, and his mother confirms that the divorce was hard on him. Meanwhile, Chase and his sister share a similar conversation in the other room. The hometown visit ends upon a teary-eyed conversation between Chase and his mother, where she ultimately gives her blessing. JoJo says her goodbyes and Chase walks her to the car; the two kiss and Chase tells JoJo for the first time ever, “I’m falling in love with you” – a milestone for the typically impassive bachelor. JoJo smiles and kisses him goodbye; then she hops into the back of her black escalade and is chauffeured off to the next hometown, where another nervous bachelor awaits. JoJo arrives in Chico, California, where Jordan excitedly welcomes her; they venture towards his high school for a nostalgic trip down memory-lane, where they’re welcomed by a sign, with a message reading, “Welcome home Jordan and JoJo.” Jordan introduces JoJo to a number of coaches and teachers – all offering her more insight into his character. After an event-filled day, it’s time for JoJo to meet the family and Jordan tries to quell her nerves with some words of encouragement. Jordan and JoJo explore Jordan’s old stopping grounds, Pleasant Valley High School. The two pull up to a beautiful, green, villa, where Jordan introduces JoJo to his mother, father, brother, and his brother’s girlfriend. JoJo fits right in, and the six of them share playful banter and stories from Jordan’s childhood over dinner. Afterwards, Jordan’s brother, Luke, invites JoJo to talk – their conversation presents details about the family’s relationship with their estranged son/brother, NFL superstar, Aaron Rodgers. 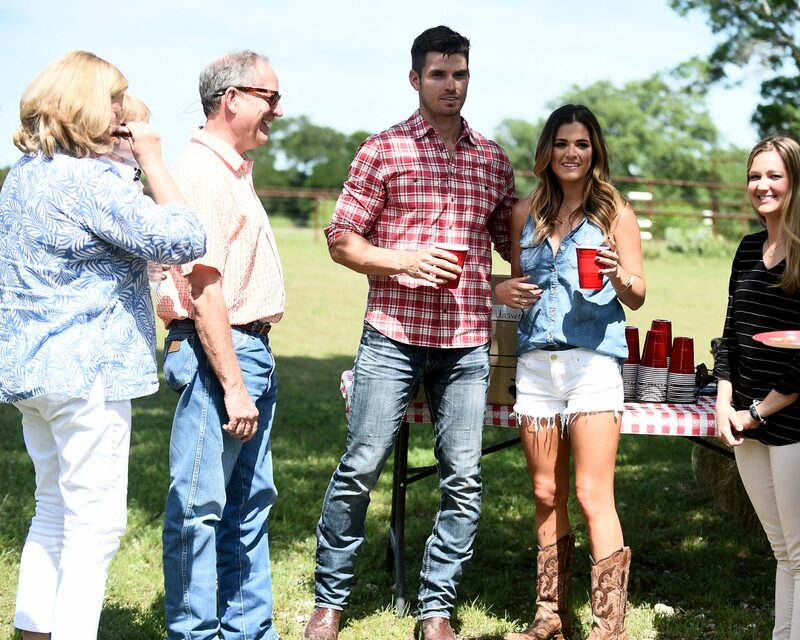 Jordan shares private conversations with Luke and his mother, both ultimately revealing that he has full intention of proposing to JoJo “when it’s all over” – assuming he wins, that is. Robby and JoJo during hometowns. 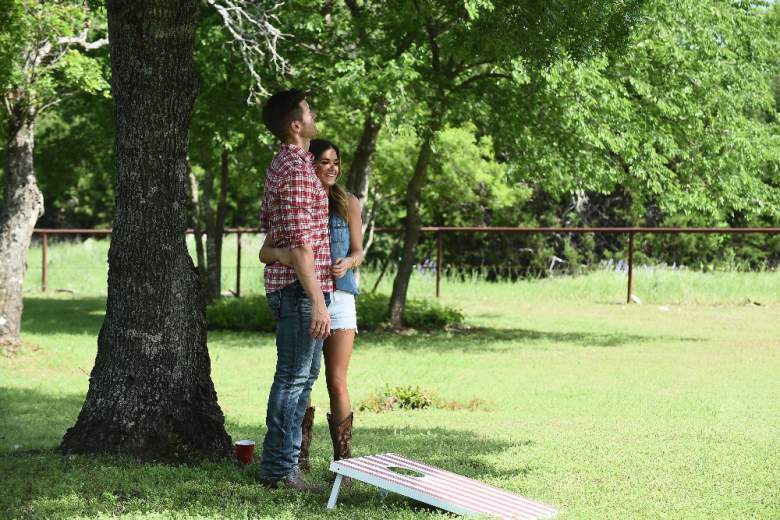 The two arrive at Robby’s parent’s Jacksonville home, a humble and homey ranch. Waiting to greet them is Robby’s mother, father, two younger sisters, brother-in-law, and two younger brothers. Robby decides to come clean to JoJo and predictably, she continues to question his honesty and integrity, but he stands by his story, telling JoJo his relationship with his ex was “Over nine months before it was actually over.” JoJo ultimately decides that she, “believes in who he is” and the two make amends; they share the rest of the evening until it’s time to say goodbye. 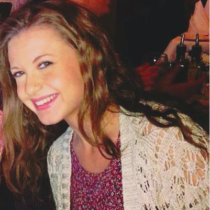 Then, Robby walks JoJo to her car and she’s off to her final hometown of the episode. Luke introduces JoJo to his family and friends. Luke and JoJo seek out some privacy and take a seat on a manmade hay-bale couch within the depths of Luke’s countryside property; he tells her that he has “one more surprise,” and walks with her towards a path of candles that lead to a heart made of flowers. Luke kisses her and professes how much he’ll miss her. But inevitably, Luke walks her to the car and it drives off – JoJo not to be seen again until the rose ceremony. A limousine pulls up and JoJo exits to find four bachelors in suits and ties, each eagerly awaiting a rose. That’s when JoJo tells the camera – “I think I know what I need to do; and I think I need to say goodbye to Luke.” Just then, Luke comes forward and asks, “JoJo can I talk to you for a second?” They step outside and Luke tells JoJo, for the first time ever, “I love you” – and it seemingly changes everything. JoJo breaks down in tears, but that’s where the episode ends. Net week, JoJo will eliminate two more contenders, thus, choosing the top two finalists.